The 2019 event’s programming is set to feature a deep–dive into the music vision of The Walt Disney Company, undoubtedly one of the most creative, successful, influential and powerful music, animation, entertainment, digital, radio and consumer retail market brands on the planet. Disney’s music team works across all of its diverse verticals that reach billions of consumers worldwide. 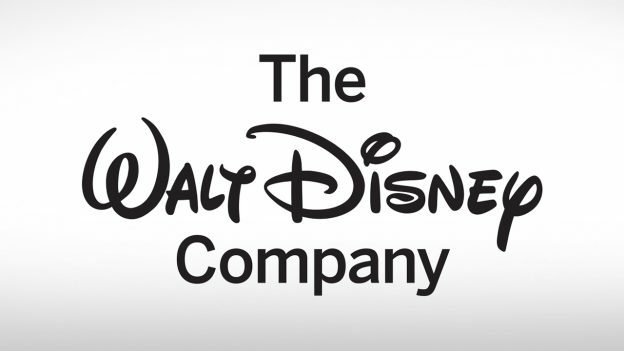 The Walt Disney Company has a broad portfolio, which includes Disney Music Group, ABC, Disney Channel, Freeform, ESPN, Radio Disney, Disneyworld, Disneyland, DisneyStore, Lucasfilm, Pixar Animation Studios, Marvel Studios, Disneynature, Disney Theatrical Group and much more! This groundbreaking and unique panel brings together the music creators, developers, music supervisors and marketers who are part of one of the world’s most creative and influential music gatekeepers on the planet! Among the innovative executives set to join the session from across a number of different Disney’s companies and verticals are: Kaylin Frank – VP, Creative Music and Soundtracks, Walt Disney Pictures; Mike Daly – Executive Director, A&R and Music Publishing, Hollywood Records, Buena Vista Records, Disney Music Publishing; Phil Guerini – VP, Music Strategy, Disney Channels Worldwide and General Manager, Radio Disney Network; and Scott Igoe – VP, Alternative Series & Specials, ABC Television. The forum will led by widely–respected music and tech mind, Ralph Simon – Founder & CEO, Mobilium Global. The first–ever California Entertainment Week will make its debut next month in the “Media Capital of The World,” Burbank, CA, as it brings together leaders from all facets of the global music, digital, radio, entertainment and technology sectors. The multi–day event will descend upon the city on Monday, March 25th, and conclude on Friday, March 29th, with a kick–off wine–tasting and music showcase event on Sunday, March 24th at SIR Studios in Hollywood. The week–long event will unite the annual global music business conference and showcase event, MUSEXPO, with the Worldwide Radio Summit as part of the newly–unveiled California Entertainment Week, set to take place at the resort–like facility, Castaway, located in the scenic hills of Burbank, just minutes away from the offices of The Walt Disney Company, Disney Music Group, Freemantle Media, ABC, Hollywood Records, ESPN, Marvel Comics Studios, Lucasfilm, Warner Bros. Studios, DC Comics, Freeform TV, peermusic, iHeartRadio, Nickelodeon Animation Studios, The Burbank Studios, Blizzard Entertainment, Cartoon Network, Insomniac Games, The CW Television Network, NBCUniversal, Universal Pictures, KPWR “Power 106” Los Angeles and many others. Among the plethora of leading music and media minds confirmed to join California Entertainment Week event are: Alan Swan – Director of Music Content, RTÉ 2fm (Ireland); Alex Hackford – Senior Artists & Repertoire, Music Affairs, Sony Interactive Entertainment PlayStation; Alicen Schneider – Sr. VP, Music Creative/Head of West Coast Music Operations, NBCUniversal Television; Allison Kaye - President, SB Projects (Scooter Braun Projects); Andrew Gould - Sr. VP/Head of A&R N. America, Downtown Music Publishing; António Mendes – Program Director, RFM (Portugal); Areli Quirarte - VP, Motion Picture Music, Paramount Pictures; Aton Ben–Horin – Global VP, A&R, Warner Music Group; Beata Murphy – APD/MD, KIIS/Los Angeles; Ben Cooper – Controller, BBC Radio 1, 1Xtra & BBC Asian Network; Bob Lefsetz – Publisher, The Lefsetz Letter; Caroline Beasley - CEO, Beasley Broadcasting; Chris Taylor – Global President, Music, Entertainment One; Chris Williams – Chief Product Officer, iHeartRadio; Ellen K - Mornings, KOST/Los Angeles; Elvis Duran - Host, Premiere Networks & Mornings, WHTZ/New York; Eric Polin – Sr. VP, Music Publishing, Universal Pictures; Erica Farber - President & CEO, RAB; Fred Casimir – EVP Global Recordings & President Continental Europe, BMG; Fred Jacobs – President & Founder, Jacobs Media; Gao Xiaosong – Global Chairman, Alibaba Entertainment Strategic Committee (China); Ginny Morris – Chairman & CEO, Hubbard Broadcasting; Jacob Fain - Sr. VP of A&R/Head of Global Analytics & Research, Sony/ATV Music Publishing; Jake Challenor – CEO & Publisher, Jaden Social/The Music Network (Australia); Jacqueline Saturn – President, Caroline; Jeannette Perez – President of Global Synch & Brand Partnerships, Kobalt Music/AWAL; Jimmy Steal - VP of Brand & Content, “101.9 The Mix” WTMX Chicago; Jo Charrington – Co–President, Capitol Records U.K.; John Fleckenstein – Co–President, RCA Records; Julie Talbott – President, Premiere Networks; Kaylin Frank – VP, Creative Music and Soundtracks, Walt Disney Pictures; Ken Blaustein – Global Director of Music & Artist Relations, Hard Rock International; Ken Komisar – President & Partner, Notting Hill Music Masters; Kid Kelly – VP/Pop & PD, Hits1/Venus, SiriusXM; Kim Guthrie – President, Cox Media Group; Lisa Worden – Alternative Rock Brand Manager, iHeartMedia & Program Director, ALT 98.7/Los Angeles; Lonny Olinick - CEO, AWAL; Mandar Thakur - COO, Times Music India; Mark Adams – PD, KIOI & KYLD/San Francisco; Mark Sutherland - Editor, Music Week U.K.; Mathew Daniel – VP, International, NetEase Cloud Music; Michael Steele – Director/Playlist Programming & Development, Warner Music Group; Mike McVay – EVP/Programming, Cumulus Media; Mike Daly – Executive Director of A&R/Music Publishing, Disney Music Group (Hollywood Records, Buena Vista Records & Disney Music Publishing); Nick Raphael – President, Capitol Records U.K.; Ollie Wards – Content Director, Triple J (Australia); Paramdeep (Param) Singh – Co–Founder & Executive Vice Chairman, JioSaavn; Patrick Houlihan - Sr. VP, Music, 20th Century Fox; Paul Adam - Head of Songwriter Relations Europe, Spotify; Paul Wiltshire - CEO, Songtradr, Inc.; Pete Ganbarg – President of A&R, Atlantic Records; Phil Guerini - VP, Music Strategy, Disney Channels Worldwide & General Manager, Radio Disney Worldwide; Rachel Levy – EVP, Film Music, Universal Films; Ralph Simon – Founder & CEO, Mobilium Global; Roahn “First Born” Hylton – Songwriter/Producer (Nicki Minaj, Flo Rida, Ne–Yo, Trey Songz); Sarah Stennett – Co–Founder & CEO, First Access Entertainment; Scott Igoe – VP Alternative Series & Specials, ABC Television; Simon Katz – VP of A&R/Staff Producer, Republic Records; Steve Fitzmaurice – Grammy Award-winning Producer (Sam Smith, Rag’n’Bone Man, Paloma Faith, Olly Murs, U2); Thaddeus Rudd – Co–President & Co–Owner, Mom+Pop Music; Thea Mitchem – EVP/Programming, NE Division, iHeartMedia, New York; Tim Ingham – Founder & Publisher, Music Business Worldwide; Tom Poleman – Chief Programming Officer and President, National Programing Group, iHeartMedia; Woody - Host, “The Woody Show;” and many others! For a full list of all speakers, as well as information on registration (including a special discount offer to attend the full California Entertainment Week with access to MUSEXPO’s Creative Summit & the Worldwide Radio Summit), event partnership/sponsorship opportunities, direct flights to Burbank Airport, and conference discount hotel room bookings within the Burbank, CA area, visit www.musexpo.net. 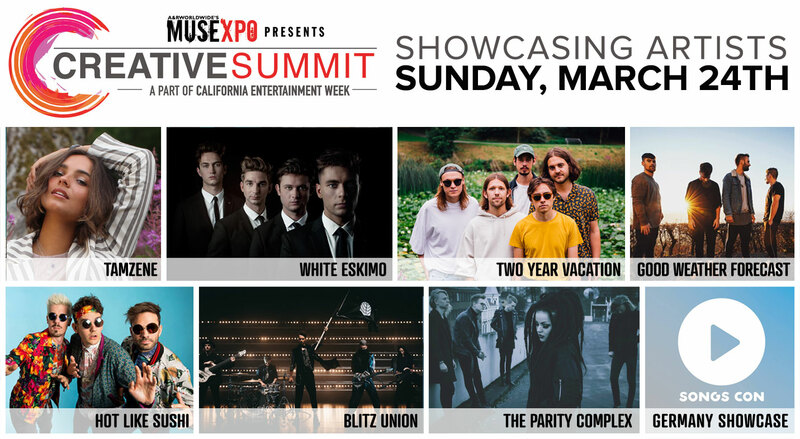 MUSEXPO Creative Summit 2019 is gearing up to present its re–imagined adaptation and evolution of its annual global music and media conference, as part of the inaugural California Entertainment Week including the Worldwide Radio Summit. The event’s new focus will feature a number of exclusive sessions and keynotes, as well as even more opportunities for its attendees to interact and do business with their global counterparts. 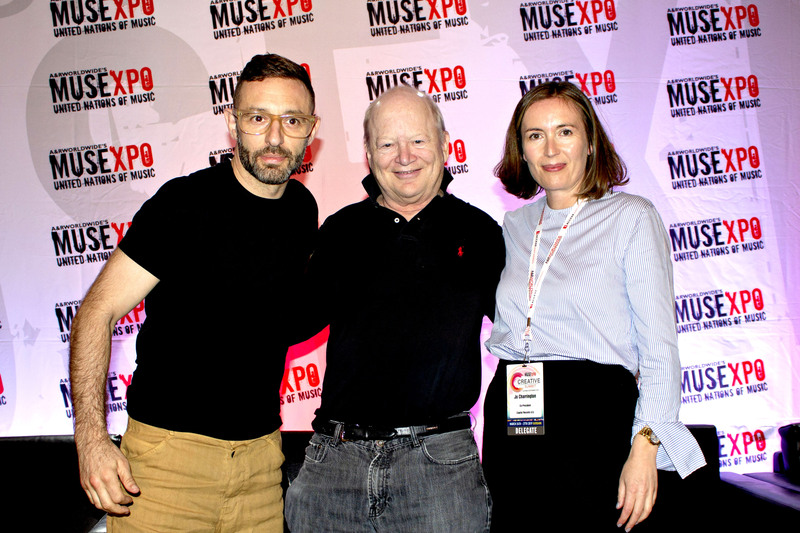 MUSEXPO’s Creative Summit, taking place March 24th – 27th 2019, will also head to the north side of the Hollywood Hills for its 2019 debut in Burbank, CA, the “Media Capital of the World,” at the newly–remodeled and inspiring Castaway venue for an ultimate networking, creative and business experience. The worldwide music business is rapidly evolving into an exciting and broad pop cultural movement that intersects across a multitude of boundaries, including live, digital, mobile, fashion, media, film/TV, distribution, licensing, publishing, A&R, licensing, marketing, radio, branded entertainment, on–demand, social media, streaming, management and so much more. MUSEXPO Creative Summit’s “The Future of The Music Business” Global Keynote forum will welcome executives who understand the micro–aspects of their respective businesses, but also the broader global picture, to discuss the future of the international music business as it shapes itself towards the year 2020! This insightful opening to the 2019 event will be led by Music Week Editor, Mark Sutherland, and will feature: Allison Kaye – President, SB Projects (Scooter Braun Projects); Ben Cooper – Controller, BBC Radio 1, 1Xtra & BBC Asian Network; Gao Xiaosong – Chairman, Alibaba Entertainment Strategic Committee; Lonny Olinick – CEO, AWAL and Paramdeep Singh – Co–Founder & Executive Vice Chairman, JioSaavn, one of India’s largest and most influential mobile and streaming platforms. 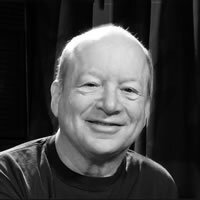 Bob Lefsetz – Founder, The Lefsetz Letter in conversation with Capitol Records UK’s President, Nick Raphael, and Co–President, Jo Charrington. 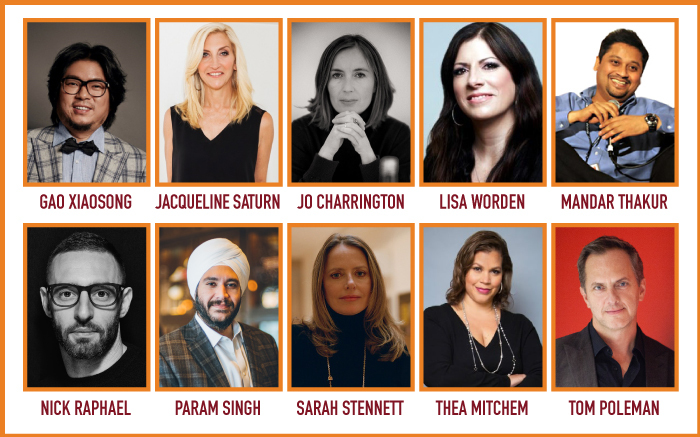 One of the world’s leading global executives, futurists and pop culture entrepreneurs, Sarah Stennett (Co–Founder & CEO, First Access Entertainment) to be interviewed by Music Business Worldwide Founder & Editor, Tim Ingham. 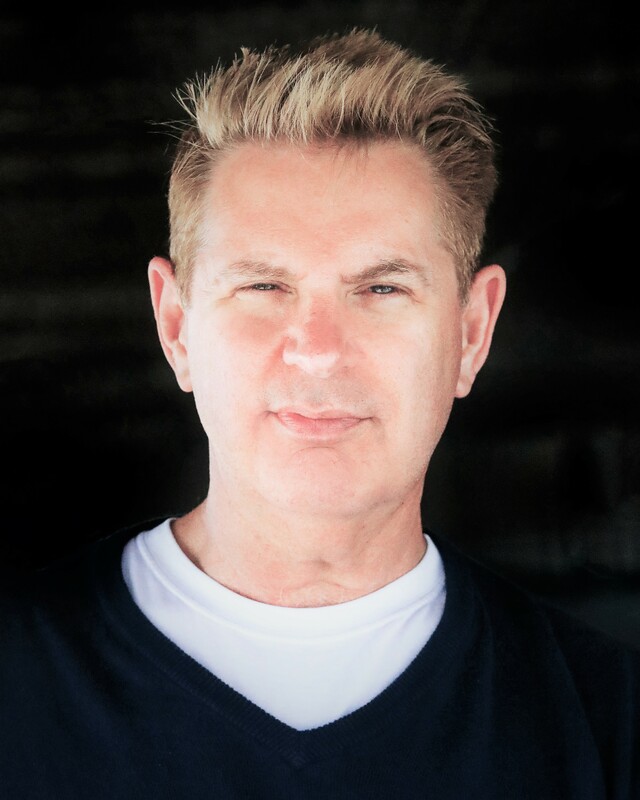 Jimmy Steal (VP of Brand & Content, “101.9 The Mix” WTMX/Chicago) will also receive MUSEXPO’s “Int’l Music Person of the Year” Award which will feature an in–depth interview led by Johnjay (Host, The Johnjay & Rich Show) and Rick Cummings (President, Radio Programming, Emmis Communications), as well as many others! For more information, including a full speaker listing and schedule overview, discount hotel information, and to register to attend MUSEXPO Creative Summit, visit www.musexpo.net or contact Tyler Polzin at tyler@anrworldwide.com. 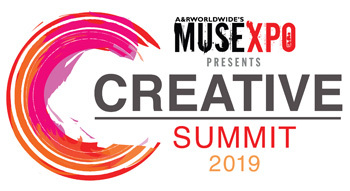 MUSEXPO Creative Summit 2019 has revealed the remaining acts for its exceptional line–up of global showcasing talent seeking label, booking, publishing, synch and/or licensing opportunities. These acts are set to descend upon Burbank, CA, the “Media Capital of the World” at Castaway for two nights of incredible global music pre–discovery as part of California Entertainment Week. Monday, March 25th’s showcases are set to feature the U.K.’s Coyle Girelli, Switzerland’s Damian Lynn, Destiny Rogers from Lodi, CA, the U.K.’s John Smith, ORI from Germany, and South Africa’s Paxton. 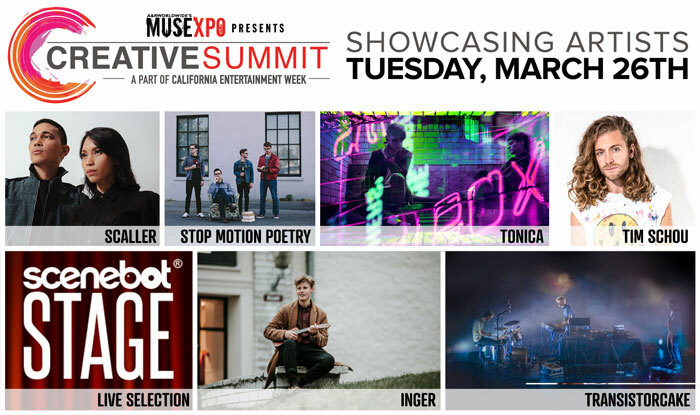 Tuesday, March 26th will welcome to the MUSEXPO stage Inger from Estonia, Indonesia’s SCALLER, Stop Motion Poetry from Modesto, CA, Denmark’s Tim Schou, the U.K.’s TONICA, Transistorcake from Belgium, and a special Scenebot Stage Live emerging talent showcase. Click HERE for more information on the artists listed and all other MUSEXPO Creative Summit showcasing acts. 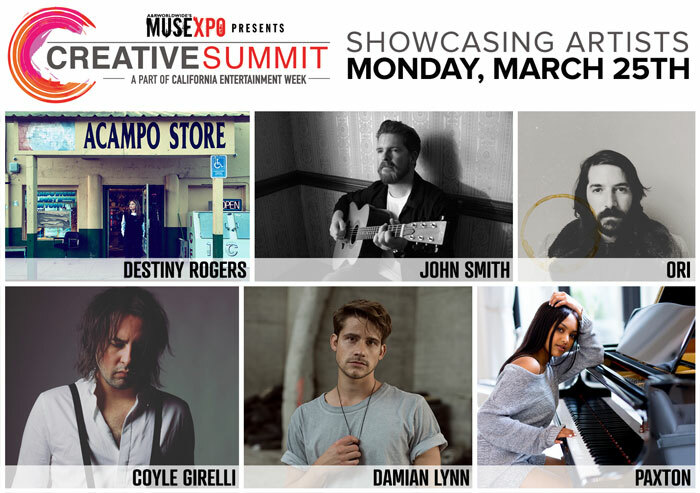 MUSEXPO CREATIVE SUMMIT 2019 ANNOUNCES SHOWCASING ARTISTS – WHO’S NEXT TO JOIN THE RANKS OF ARTISTS LAUNCHED FROM THE MUSEXPO STAGE? Over the year’s MUSEXPO has propelled numerous artists to the U.S. and/or globe stage via the focused showcase opportunities it provides. Whether its Katy Perry, LMFAO, Jessie J, Teddybears, Frank Turner, Robyn, The Temper Trap, Forest Blakk, Sheppard, Audur, Jack Savoretti, Missy Higgins, Laleh, Gavin James, Birds of Tokyo, Avalanche City, Gin Wigmore, Smith & Thell, Ida Maria or countless others who have taken the stage prior to their global success – MUSEXPO has always provided proactive industry, fans and others a chance to be the first to find the next great new music discovery, no matter what continent the artists come from. An array of top emerging talent from around the world is once again set to arrive to California Entertainment Week for showcase sets from March 24th – 26th. The first round of unearthed global talent will showcase at the legendary S.I.R. Studios on Sunset Blvd. followed by additional nights in the “Media Capital Of The World” – Burbank, CA. Most of the talent is available for signing, licensing, booking, legal representation and/or publishing. The first night of MUSEXPO Creative Summit’s artist showcases on Sunday, March 24th will feature Blitz Union from the Czech Republic; Germany’s Good Weather Forecast; Switzerland’s Hot Like Sushi; Sweden’s The Parity Complex; Tamzene from Scotland; Sweden’s Two Year Vacation; the U.K.’s White Eskimo; and a special SongsCon showcase featuring Germany’s René Miller. Click HERE to get more information on the artists listed and more. 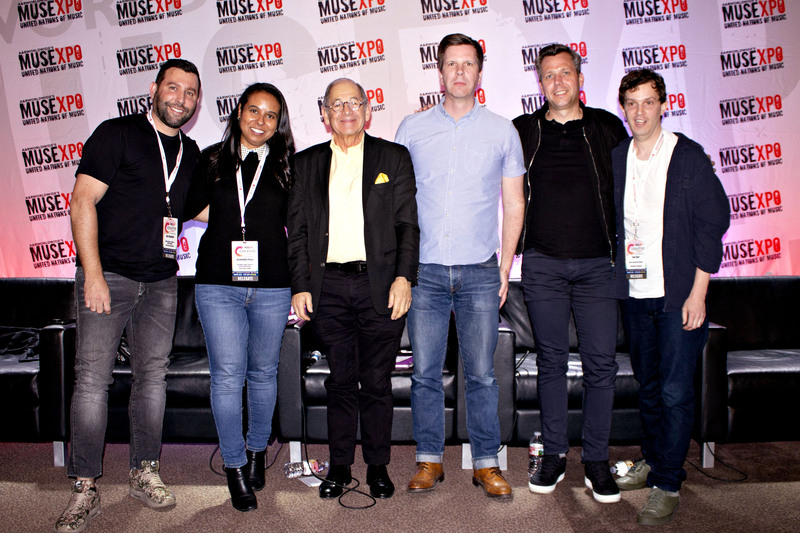 MUSEXPO Creative Summit 2019 continues to prepare its re–imagined adaptation and evolution of its annual global music and media conference, as part of the inaugural California Entertainment Week including the Worldwide Radio Summit. The event’s new focus will feature a number of exclusive sessions and keynotes, as well as even more opportunities for its attendees to interact and do business with their global counterparts. 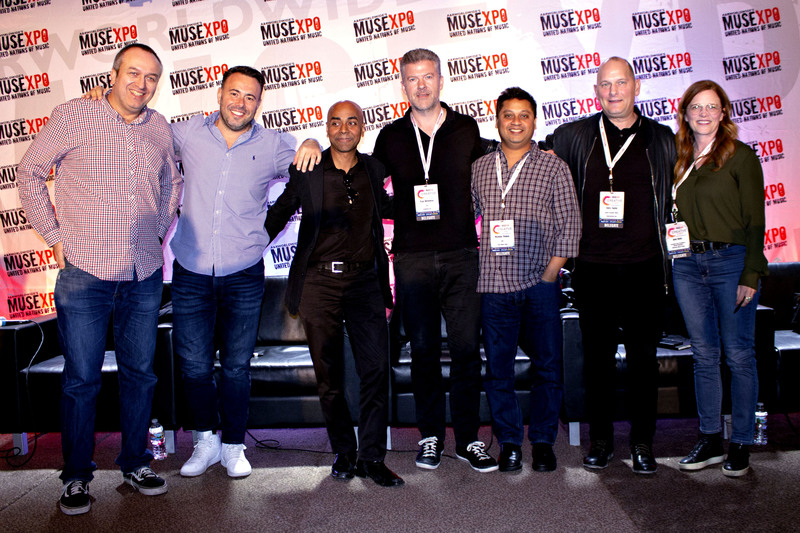 MUSEXPO’s Creative Summit, taking place March 24th – 27th 2019, will also head to the north side of the Hollywood Hills for its 2019 debut in Burbank, CA, the “Media Capital of the World,” at the newly–remodeled and inspiring Castaway venue for an ultimate networking, creative and business experience. Access to market is both essential and pivotal to the ultimate success of songs and its artists! Distribution has constantly been “disruptive” as the pipelines to the consumer continue to evolve and adapt via physical, digital, streaming and mobile platforms with ever–changing consumer consumption preferences. How do distributors not only disrupt access to market via innovative marketing and development of their repertoire, but also stand out from their competitors by creating the most effective, audible and visible musical “eruption” with unique revenue platforms and innovative label services? 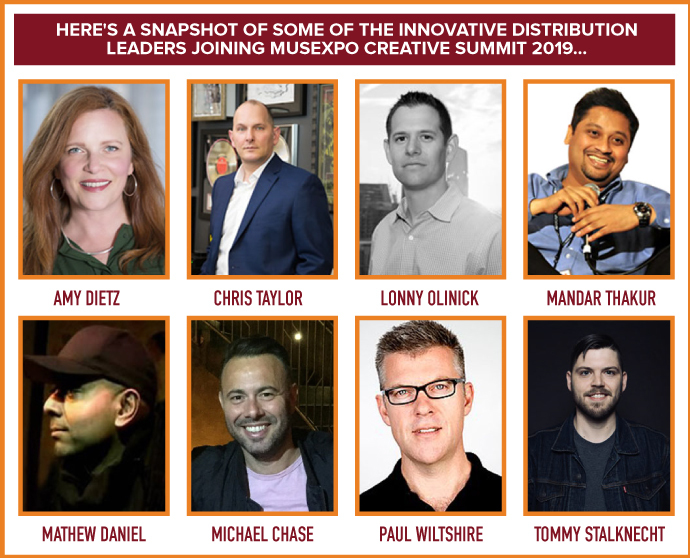 MUSEXPO Creative Summit will welcome some of the most innovative distributors for a special forum where they will share their insight on the evolution of distribution and consumption and how they’ve adapted to be more effective, creative and global than ever! 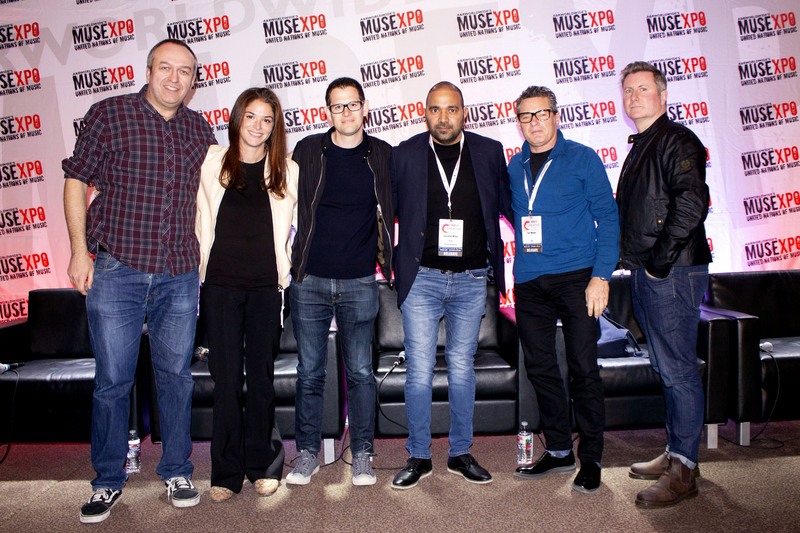 Among the forward–thinking distribution companies and executives speaking at MUSEXPO Creative Summit 2019 are included: Amy Dietz – EVP & GM, Ingrooves Music Group; Chris Taylor – Global President Music, Entertainment One; Lonny Olinick – CEO, AWAL; Mandar Thakur – COO, Times Music India; Mathew Daniel – VP, International, NetEase Cloud Music (China); Michael Chase – A&R/Business Development, MGM Distribution; Paul Wiltshire – CEO, Songtradr, Inc.; and Tommy Stalknecht – CEO, Single & Shopify Music Distribution; as well as numerous others! MUSEXPO Creative Summit 2019 is gearing up to present its re–imagined adaptation and evolution of its annual global music and media conference, as part of the inaugural California Entertainment Week including the Worldwide Radio Summit. The event’s new focus will feature a number of exclusive sessions and keynotes, as well as even more opportunities for its attendees to interact and do business with their global counterparts. 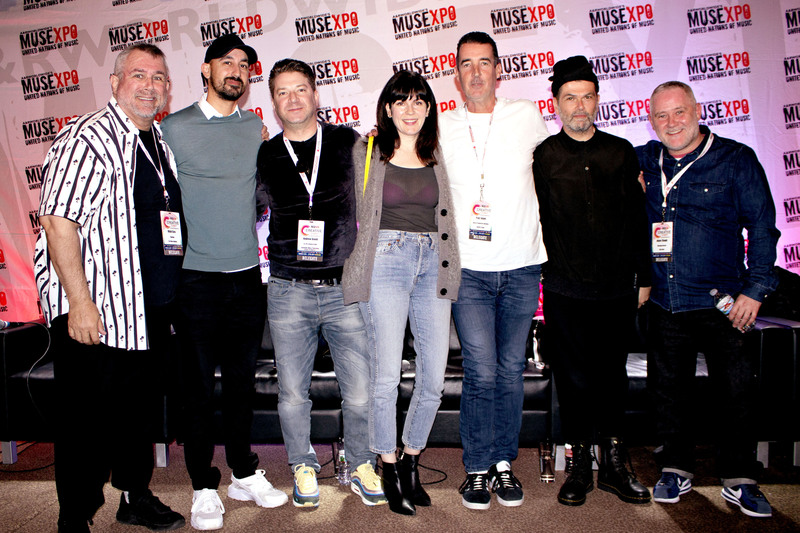 MUSEXPO’s Creative Summit, taking place March 24th – 27th 2019, will also head to the north side of the Hollywood Hills for its 2019 debut in Burbank, CA, the “Media Capital of the World,” at the newly–remodeled and inspiring Castaway resort–like venue for an ultimate networking, creative and business experience. Maintaining its deep focus on the global synch arena, MUSEXPO Creative Summit’s 2019 agenda will highlight a broad cross–section of the synch industry worldwide across film, TV, gaming, trailers, advertising, brand integration and more! Among the exclusive sessions confirmed are insightful dives into the creative music strategies of NBCUniversal and the Walt Disney Company, as well as the return of MUSEXPO’s impactful Global Synch & Brands Summit round–table face–to–face meetings which will give attendees the opportunity to interact directly with leaders from the synch community and beyond. Additionally, 2019 will once again feature a number of opportunities for delegates to have their music heard by participating music supervision executives. 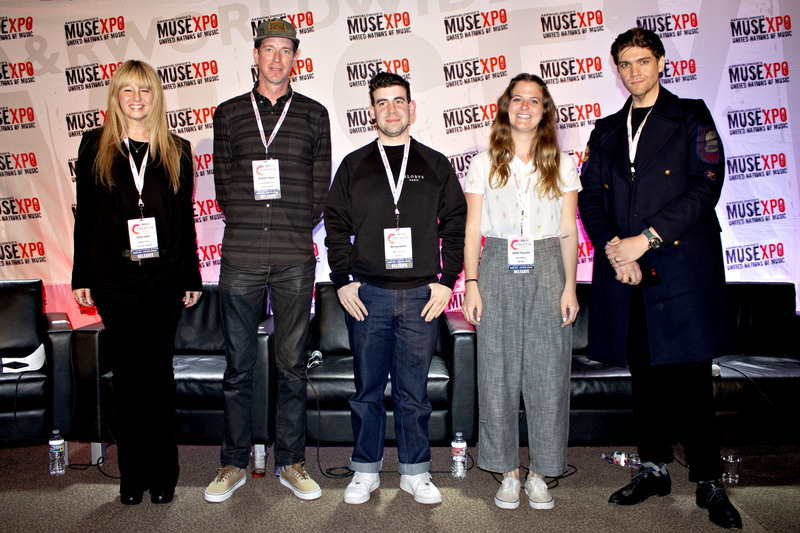 Among the music supervisor and brand executives already confirmed to participate at MUSEXPO Creative Summit 2019 are included: Alex Hackford – Sr. Artists & Repertoire, Music Affairs, Sony Interactive Entertainment PlayStation; Alicen Schneider – Sr. VP, Music Creative/Head of West Coast Music Operations, NBCUniversal Television; Areli Quirarte – Vice President, Motion Picture Music, Paramount Pictures; Ben Dorenfeld – Music Supervisor, Anomaly; Brandon Young – Sr. Director, Music Affairs, Activision Blizzard; Charlie Haggard – Music Supervisor, NBCUniversal Television; Dan Burt – Music Supervisor/Producer, JWT; Eddie Chavez – Music Supervisor, NBCUniversal Television; Eric Polin – Sr. VP, Music Publishing, Universal Pictures; Jackie Palazzolo – Music Supervisor, VICE Media; Josh Young – Founder & CEO, Atrium Music; Kaylin Frank – VP, Creative Music and Soundtracks, Walt Disney Pictures; Kerri Drootin – Sr. Director, Music Supervision & Licensing, NBCUniversal Television; Matt Mugford – Promo Music Supervisor, NBCUniversal Television; Oliver Hild – Music Supervisor, NBC Universal, Television Music Creative Team; Patrick Houlihan – Sr. VP Music, 20th Century Fox; Pieter Viljoen – Assistant Editor, Rock Paper Scissors (Nike, Netflix, Apple); Rebecca Rienks – Music Supervisor, NBC Entertainment; Scott Igoe - VP Alternative Series & Specials, ABC Television; Scotty Schneider – Associate Music Manager, Fox Broadcasting Company; Stacy Wallen–McCarthy – Music Supervisor, Sr. Director, Music Supervision & Licensing, NBCUniversal Television, Music Creative Services; Sue Crawshaw – Founder & Owner, Pick And Mix Music; Tara Piper - Head of Entertainment Marketing, The Coca–Cola Company; and more to be announced! MUSEXPO’s 2019 Creative Summit is gearing up to present its re–imagined adaptation and evolution of the annual global music and media conference, as part of the inaugural California Entertainment Week. The event’s new focus will feature a number of exclusive sessions and keynotes, as well as even more opportunities for its attendings to interact and do business with their global counterparts. Among the agenda are included a number of sessions focused on creativity in critical arenas of the global industry including A&R, Production, Marketing and a special session, “Disruptibution”: Innovative Ways To The Consumer Market, centered on creative artist development, marketing and monetization in global music distribution space which will feature eOne, MGM Distribution, NetEase Cloud Music, Songtradr and Times Music India. 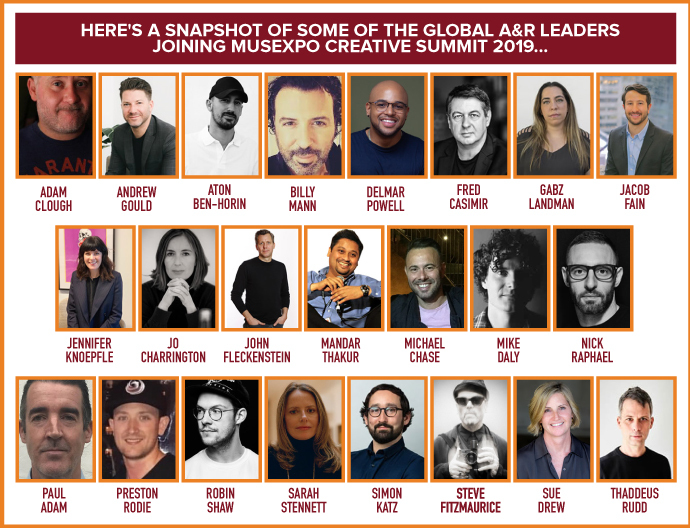 Addressing the rapidly evolving music industry that now intersects across a multitude of boundaries, including live, digital, mobile, fashion, media, film/TV, distribution, licensing, publishing, A&R, licensing, marketing, radio, branded entertainment, on–demand, social media, streaming, management and more, the MUSEXPO Creative Summit 2019 Global Keynote kick–off panel will feature global industry leaders from across a number of verticals. 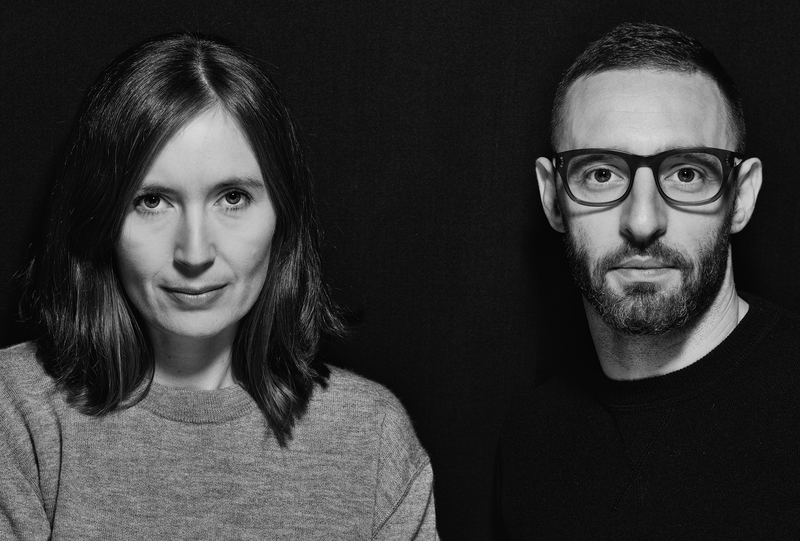 The forum, led by Music Week Editor Mark Sutherland, has already confirmed Allison Kaye – President, SB Projects; Ben Cooper – Controller, BBC Radio 1, BBC Radio 1Xtra & BBC Asian Network; and Gao Xiaosong – Chairman, Alibaba Entertainment Strategic Committee; with more to be announced. 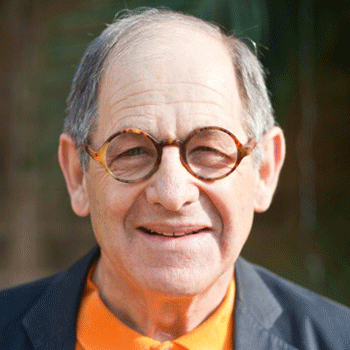 Among the keynote interviews confirmed for 2019 are an exclusive A&R conversation with Capitol Records U.K.’s President, Nick Raphael and Co–President, Jo Charrington in conversation with the insightful music and media expert Bob Lefsetz (Publisher, The Lefsetz Letter). Additionally, widely–influential radio programmer, Jimmy Steal (VP Programming & Program Director, “Power 106” KPWR & KDAY Los Angeles) will also be interviewed and will receive MUSEXPO’s 2019 “International Music Person of the Year” award at a special awards luncheon on Tuesday, March 26th. 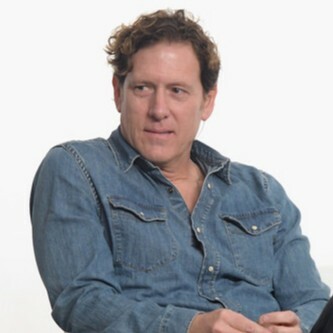 On the synch front, the 2019 agenda will feature insightful dives into the creative music strategies of NBCUniversal and the Walt Disney Company, as well as the return of MUSEXPO’s impactful Global Synch & Brands Summit round–table face–to–face meetings which will give attendees the opportunity to interact directly with leaders from the synch community and beyond – with over 30 music supervisor and brand executives confirmed to participate as part of the expanded synch and brands conversations and engagements throughout the event. Global media partners involved with this year’s event include AllAccess.com, Billboard, Digital Music News, Hollywood Reporter, Music Business Registry, Music Business Worldwide, Music Connection, The Music Network (Australia), Music Week (U.K.) and Variety, amongst others. 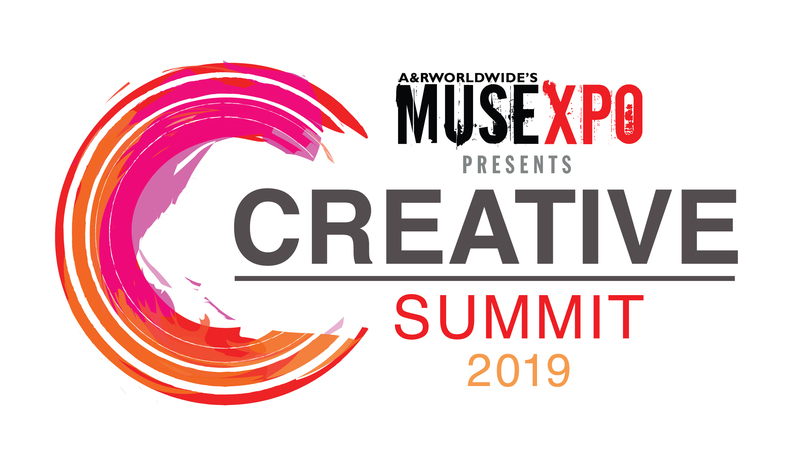 To view the full MUSEXPO Creative Summit 2019 schedule and all of the speakers click HERE. For more information, and to register to attend, visit www.musexpo.net or contact Tyler Polzin at tyler@anrworldwide.com. 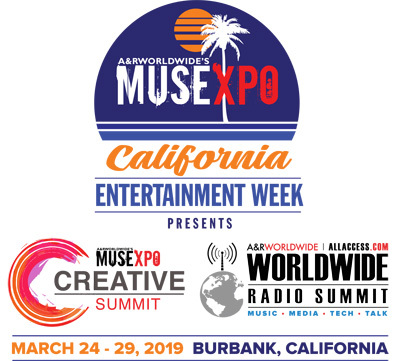 MUSEXPO Creative Summit 2019, a part of a week–long series of events, including the Worldwide Radio Summit, collectively forming the brand new California Entertainment Week, will take place March 24th – 29th at the new resort–like Castaway venue in Burbank – the film & media capital of North America. This year's event will feature innovative sessions on the art of song creation, artist development and its amplification to the masses via synchronization (film, TV, videogames, trailers, on–demand), global A&R and music publishing, music production, DSPs, evolution of global distribution, marketing, radio, new ways of monetization and more! 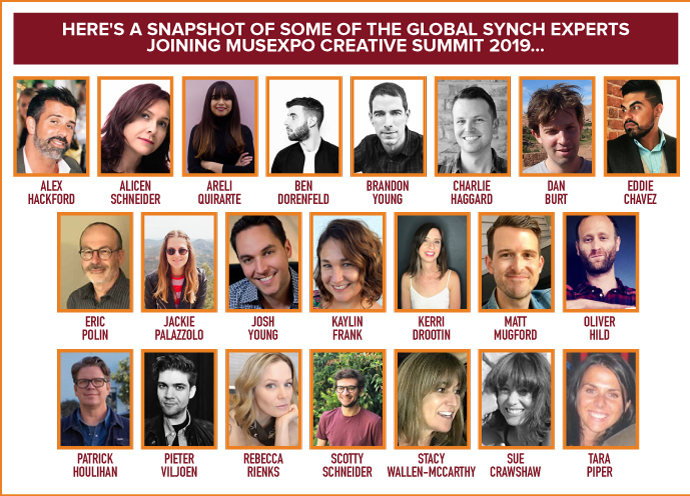 In addition, MUSEXPO Creative Summit 2019 will also see the return of the widely–successful Global Synch & Brands Summit which will offer delegates another opportunity to interact face–to–face with leading music supervisors from film, TV, trailers, gaming, and brands. Among the industry innovators already confirmed to attend are included Adam Clough – Managing Director, 365 Artists; Andrew Gould – Sr. VP/Head of A&R, North America, Downtown Music Publishing; Alicen Catron Schneider – Sr. VP, Music Creative/Head of West Coast Operations, NBCUniversal Television; Allison Kaye – President, SB Projects; Areli Quirarte – VP, Motion Picture Music, Paramount Pictures; Aton Ben–Horin – Global VP, A&R, Warner Music Group; Ben Cooper – Controller, BBC Radio 1, 1Xtra & BBC Asian Network; Billy Mann – Founder & Chairman, Manncom; Bob Lefsetz – Author, “The Lefsetz Letter;” Charlie Haggard – Music Supervisor, NBCUniversal; Chris Price – Head of Music, BBC Radio 1 & 1Xtra; Chris Taylor – Global President, Music, Entertainment One; Dan Burt – Music Supervisor/Producer, JWT; Eddie Chavez – Music Supervisor, NBCUniversal; Eric Polin – Sr. VP, Music Publishing, Universal Pictures; Fred Casimir – EVP, Global Recordings, BMG; Gao Xiaosong – Global Chairman, Alibaba Entertainment Strategic Committee; Jacob Fain – Sr. VP of A&R/Head of Global Analytics & Research, Sony/ATV Music Publishing; Jake Challenor – CEO & Publisher, Jaden Social/The Music Network (Australia); Jennifer Knoepfle – Sr. VP/Co–Head of West Coast A&R, Sony/ATV Music Publishing; Jo Charrington – Co–President, Capitol Records U.K.; John Fleckenstein – Co–President, RCA Records; Kaylin Frank – VP, Creative Music and Soundtracks, Walt Disney Pictures; Kerri Drootin – Sr. Director, Music Supervision & Licensing, NBCUniversal Television; Leslie Lewis – Owner & President, Leslie Lewis Consulting; Mandar Thakur – COO, Times Music India; Mark Sutherland – Editor, Music Week (U.K.); Mathew Daniel – VP, International, NetEase Cloud Music; Matt Mugford – Promo Music Supervisor, NBCUniversal Television; Michael Chase – A&R/Global Business Development, MGM Distribution; Mike Daly – Executive Director of A&R/Music Publishing, Disney Music Group (Hollywood Records, Buena Vista Records and Disney Music Publishing); Nick Raphael – President, Capitol Records U.K.; Oliver Hild – Music Supervisor, NBCUniversal, Television Music Creative Team; Patrick Houlihan – Sr. VP, Music, 20th Century Fox; Paul Adam – Head of Europe, Songwriter Relations, Spotify; Preston Rodie – A&R Manager, Sire Records/Warner Bros. Records; Ralph Simon – Founder & CEO, Mobilium Global; Rebecca Rienks – Music Supervisor, NBC Entertainment; Ritch Esra – Publisher, Music Business Registry; Scott Igoe – VP Alternative Series & Specials, ABC Television; Stacy Wallen–McCarthy – Sr. Director, Music Supervision & Licensing, NBCUniversal Television, Music Creative Services; Steve Fitzmaurice – Producer (Sam Smith, Rag'n'Bone Man, Paloma Faith, Olly Murs, U2); Sue Crawshaw – Founder & Owner, Pick And Mix Music; Tara Piper – Head of Entertainment Marketing, The Coca–Cola Company; and Tim Ingham – Founder & Publisher, Music Business Worldwide; as well as many more to be announced soon! Early Bird Discount Pricing to attend MUSEXPO Creative Summit 2019 is still available but expires this Friday, December 14th. For more information on the event, including registration and discount hotel information, visit www.musexpo.net or contact Tyler Polzin at tyler@anrworldwide.com. Access to market is both essential and pivotal to the ultimate success of songs and artists! Distribution has constantly been “disruptive,” as the pipelines to the consumer continually evolve and adapt via physical, digital, streaming and mobile platforms with ever–changing consumption preferences. Add to the mix social media, automotive, VR/AR, and other experiential access–points, and we are in a rapidly evolving world of content distribution. 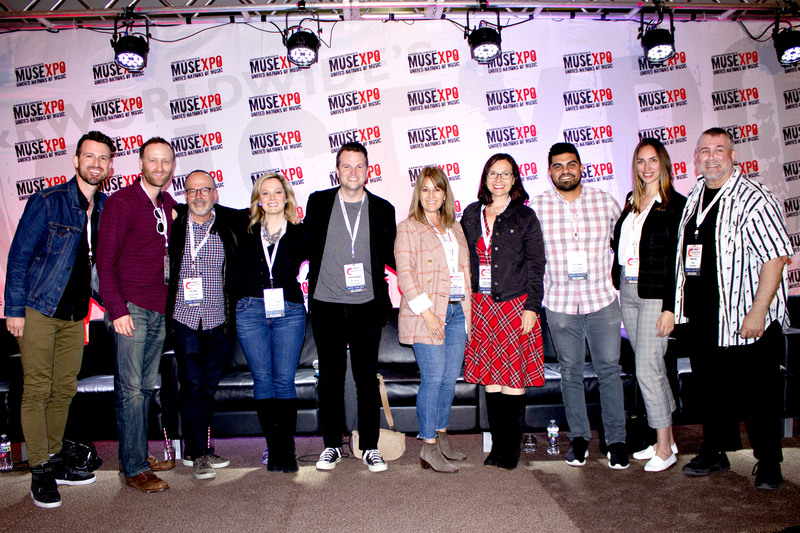 MUSEXPO Creative Summit 2019, taking place March 24th – 27th in Burbank, California (the media capital of N. America), will bring together a cross–section of innovative distributors who share how they are changing the distribution and consumption market in a more effective, creative and broader way for content owners and creators worldwide. Already confirmed as part of next year’s “disruptibution’ conversation are Chris Taylor – Global President, Music, Entertainment One; Mandar Thakur – COO, Times Music India; Mathew Daniel – Vice President, International, NetEase Cloud Music (China /Asia); Michael Chase – A&R/Global Business Development, MGM Distribution; and several others to be unveiled soon for an insightful look at distribution, marketing, label service, monetization and more. 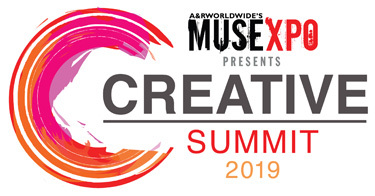 For more information on MUSEXPO Creative Summit 2019, and to register to attend, log on to www.musexpo.net. MUSEXPO’s 2019 Creative Summit continues to add key influencers to the re–imagined adaptation and evolution of its annual global music and media conference, as part of the inaugural California Entertainment Week. The event will feature a number of exclusive sessions and keynotes, as well as even more opportunities for its attendings to interact and do business with their global counterparts. In addition to a number of exclusive sessions, including insightful dives into the creative music strategies of NBCUniversal and the Walt Disney Company, the event will also feature the return of its impactful round–table face–to–face meetings which will give attendees the opportunity to interact directly with leaders from the synch community and beyond. 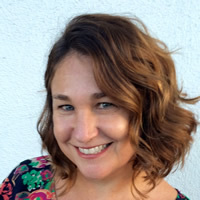 Among the leading music, media, digital and entertainment industry minds already confirmed to join the MUSEXPO Creative Summit 2019 are included: Alicen Catron Schneider – Sr. VP, Music Creative/Head of West Coast Operations, NBCUniversal Television; Andrew Gould – Sr. VP & Head of A&R, North America, Downtown Music Publishing; Ben Cooper – Controller, BBC Radio 1, 1Xtra & BBC Asian Network; Billy Mann – Founder & Chairman, Manncom; Bob Lefsetz – Author, “The Lefsetz Letter;” Charlie Haggard – Music Supervisor, NBCUniversal; Chris Price – Head of Music, BBC Radio 1 & 1Xtra; Chris Taylor – Global President, Music, Entertainment One; Dan Burt – Music Supervisor/Producer, JWT; Eddie Chavez – Music Supervisor, NBCUniversal; Eric Polin – Sr. VP, Music Publishing, Universal Pictures; Fred Casimir – EVP, Global Recordings, BMG; Gao Xiaosong – Global Chairman, Alibaba Entertainment Strategic Committee; Jacob Fain – Sr. VP A&R, Head of Research & Analytics, Sony/ATV; Jake Challenor – CEO & Publisher, Jaden Social/The Music Network (Australia); Jennifer Knoepfle – Sr. VP, Co–Head of West Coast A&R, Sony/ATV; Jimmy Steal – VP/Programming & Program Director, “Power 106” KPWR & KDAY (Los Angeles); Jo Charrington – Co–President, Capitol Records U.K.; John Fleckenstein – Co–President, RCA Records; Kaylin Frank – VP, Creative Music and Soundtracks, Walt Disney Pictures; Kerri Drootin – Sr. Director, Music Supervision & Licensing, NBCUniversal Television; Mark Sutherland – Editor, Music Week (U.K.); Mandar Thakur – COO, Times Music India: Matt Mugford – Promo Music Supervisor, NBCUniversal Television; Mathew Daniel – Vice President, International, NetEase Cloud Music (China); Mike Daly – Executive Director of A&R/Music Publishing, Disney Music Group (Hollywood Records, Buena Vista Records and Disney Music Publishing); Nick Raphael – President, Capitol Records U.K.; Oliver Hild – Music Supervisor, NBCUniversal, Television Music Creative Team; Preston Rodie – A&R Manager, Sire Records/Warner Bros. Records; Ralph Simon – Founder & CEO, Mobilium Global; Rebecca Rienks – Music Supervisor, NBC Entertainment; Ritch Esra – Publisher, Music Business Registry; Stacy Wallen–McCarthy – Sr. Director, Music Supervision & Licensing, NBCUniversal Television, Music Creative Services; Sue Crawshaw – Founder & Owner, Pick And Mix Music; and Tim Ingham – Founder & Publisher, Music Business Worldwide; as well as many more to be announced! MUSEXPO Creative Summit is also currently accepting submissions for its exclusive showcasing spots for 2019. The event will also once again bring some of the globe’s most talented artists to its stage that has previously welcomed acts such as Katy Perry, LMFAO, Jessie J, Teddybears, Frank Turner, Robyn, The Chevin, The Temper Trap, Forest Blakk, Sheppard, Audur, Jack Savoretti, Thomas Azier, Missy Higgins, Laleh, Gavin James, Birds of Tokyo, Avalanche City, Gin Wigmore, Ida Maria, and many others prior to their global success. 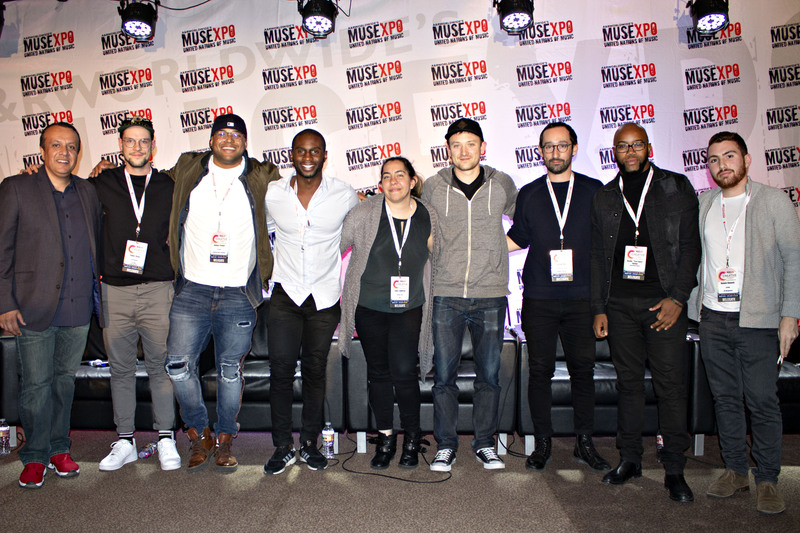 The MUSEXPO stage offers artists with global potential the unique opportunity to play to a captivated audience that includes some of the worldwide industry’s most influential executives and tastemakers. 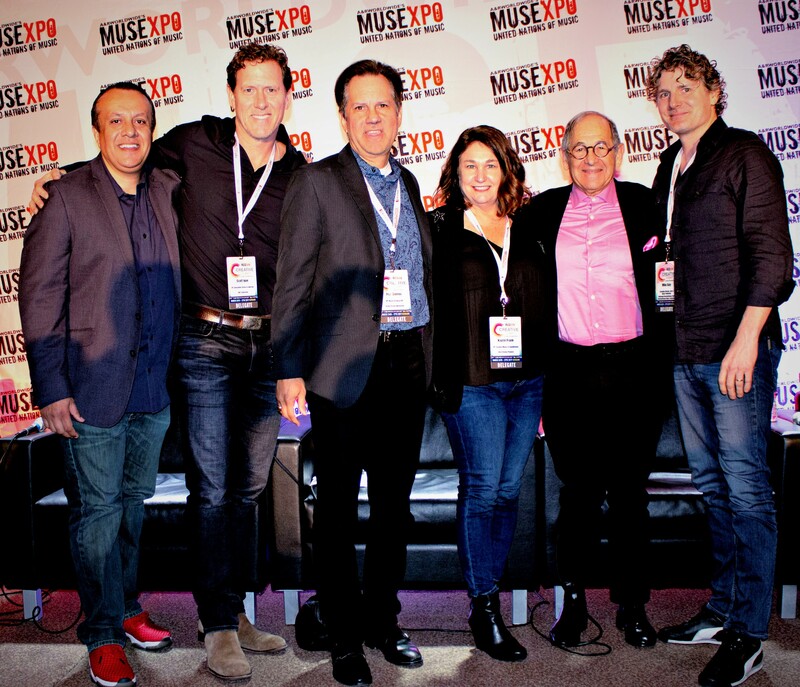 MUSEXPO’s Creative Summit, taking place March 24th – 27th 2019, will head to the north side of the Hollywood Hills for its 2019 debut in Burbank, CA, the “Media Capital of the World,” at the newly–remodeled and inspiring Castaway venue for an ultimate networking, creative and business experience. MUSEXPO Creative Summit is a part of a week–long series of events including the Worldwide Radio Summit that will coincide as part of the brand–new California Entertainment Week, which will place March 24th – 29th. For More Details Contact: Tyler Polzin at tyler@anrworldwide.com or +1.323.782.0770. Among the leading music, media, digital and entertainment industry minds already confirmed to join the MUSEXPO Creative Summit 2019 are included: Alicen Catron Schneider – Sr. VP, Music Creative/Head of West Coast Operations, NBCUniversal Television; Ben Cooper – Controller, BBC Radio 1, 1Xtra & BBC Asian Network; Billy Mann – Founder & Chairman, Manncom; Bob Lefsetz – Author, “The Lefsetz Letter;” Charlie Haggard – Music Supervisor, NBCUniversal; Chris Price – Head of Music, BBC Radio 1 & 1Xtra; Chris Taylor – Global President, Music, Entertainment One; Dan Burt – Music Supervisor/Producer, JWT; Eddie Chavez – Music Supervisor, NBCUniversal; Eric Polin – Sr. VP, Music Publishing, Universal Pictures; Fred Casimir – EVP, Global Recordings, BMG; Gao Xiaosong – Global Chairman, Alibaba Entertainment Strategic Committee; Jake Challenor – CEO & Publisher, Jaden Social/The Music Network (Australia); Jo Charrington – Co–President, Capitol Records U.K.; John Fleckenstein – Co–President, RCA Records; Kaylin Frank – VP, Creative Music and Soundtracks, Walt Disney Pictures; Kerri Drootin – Sr. Director, Music Supervision & Licensing, NBCUniversal Television; Mark Sutherland – Editor, Music Week (U.K.); Matt Mugford – Promo Music Supervisor, NBCUniversal Television; Mike Daly – Executive Director of A&R/Music Publishing, Disney Music Group (Hollywood Records, Buena Vista Records and Disney Music Publishing); Nick Raphael – President, Capitol Records U.K.; Oliver Hild – Music Supervisor, NBCUniversal, Television Music Creative Team; Preston Rodie – A&R Manager, Sire Records/Warner Bros. Records; Ralph Simon – Founder & CEO, Mobilium Global; Rebecca Rienks – Music Supervisor, NBC Entertainment; Ritch Esra – Publisher, Music Business Registry; Stacy Wallen–McCarthy – Sr. Director, Music Supervision & Licensing, NBCUniversal Television, Music Creative Services; Sue Crawshaw – Founder & Owner, Pick And Mix Music; and Tim Ingham – Founder & Publisher, Music Business Worldwide; as well as many more to be announced! MUSEXPO has also revealed it’s honoree for 2019’s “International Music Person of the Year” as Jimmy Steal, VP/Programming and Program Director of Los Angeles–based Rhythmic CHR “Power 106” KPWR, and Classic Hip–Hop KDAY (93.5). Under Steal’s stewardship, Power 106 has become the world’s most influential hip–hop radio station, which has also shaped U.S. and global hip–hop pop culture. Steal will be recognized at an exclusive awards luncheon at MUSEXPO’s Creative Summit that will include an award from the global music community, as well as an official proclamation from the Mayor and council members of the city of Burbank, CA – the media capital of the world. A special tribute publication, including an exclusive in–depth interview with Steal, will also be created as part of the award honor. Information on artist showcasing submissions, direct flights to Burbank Airport and conference discount hotel room bookings within the Burbank, CA area is available at www.musexpo.net. To register to attend the event, or for organization and group discounts, contact Tyler Polzin at tyler@anrworldwide.com. For more information on sponsorship opportunities and event partnerships, contact Sat Bisla at sat@anrworldwide.com. Each year MUSEXPO “The United Nations of Music & Media” honors an individual or entity that has left an indelible positive mark within the international music and media businesses. The event has revealed it’s honoree for 2019’s “International Music Person of the Year” as Jimmy Steal, VP/Programming and Program Director of Los Angeles–based Rhythmic CHR “Power 106” KPWR, and Classic Hip–Hop KDAY (93.5). Under Steal’s stewardship, Power 106 has become the world’s most influential hip–hop radio station, which has also shaped U.S. and global pop culture. Steal has long been focused on spearheading radio cross platform content and branding innovations on social, digital, and online. His focus has been assembling great teams to bundle the best of both entertainment and science to meet the challenges of the new instant access on–demand audiences, while at the same time still succeeding in the broadcast Nielsen ratings–centric world of today. In his role as PD of the widely respected KPWR “Power 106” Los Angeles, Steal’s built passionate teams that he’s guided to their highest ratings ever across all demos while driving the daily production of market–leading digital and social content. During that time he’s also developed a number of influential on–air personalities, programs, and strategies. More recently Jimmy has his team focused on effectively fortifying/freshening their legacy brand fending off the latest in a long line of hip–hop competitors over the years. 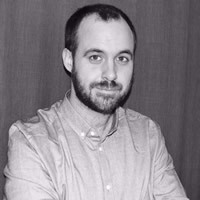 Prior to his current role at Meruelo Media, and his 18 years with Emmis as National Digital Program Director/VP of Programming, Steal started out at WXXL Orlando as APD/MD and on–air talent; during his tenure the station tripled its (12+) share from 4 to 12, the highest in its history. He then took on the same roles at KEGL Dallas, earning the highest ratings ever for his daypart. 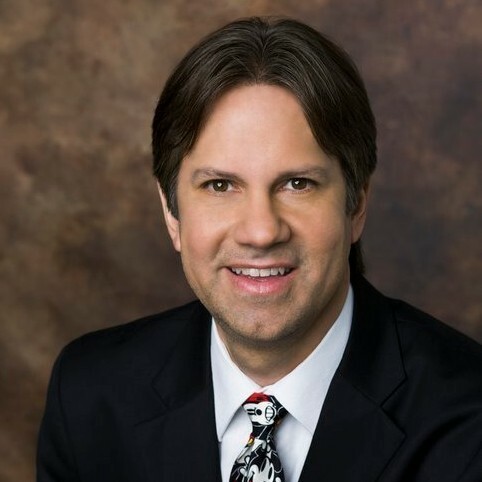 After a quick stint as PD at WKRQ Cincinnati (where he earned the station its highest ratings in over five years), Steal returned to Texas as Director of Programming & Operations at Clear Channel Dallas. During his time in Dallas, KDMX earned the highest ratings in its 25–year history while KEGL had its highest (12+) share since the mid–90s. 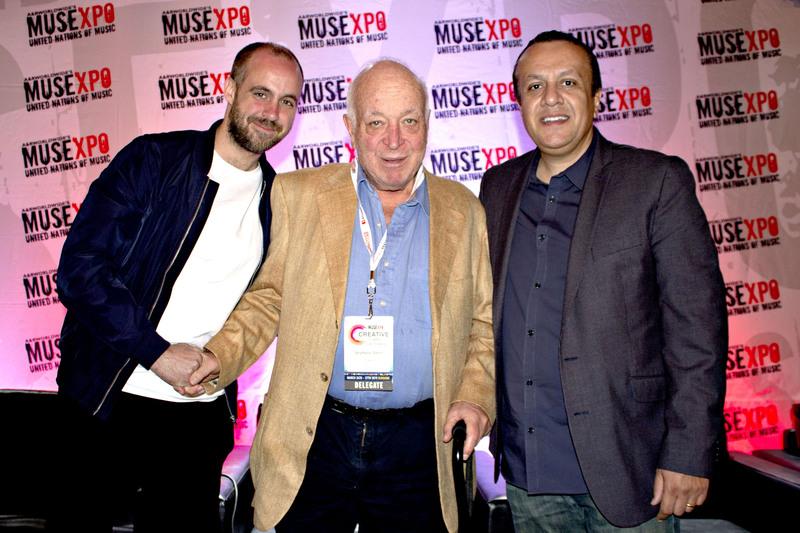 MUSEXPO 2019’s global award pays tribute to Jimmy Steal for his personal and professional innovation and support to the radio, multimedia, artist, music and entertainment communities, and his time and expertise to an array of charitable causes. Steal will be recognized at an exclusive awards luncheon at MUSEXPO’s Creative Summit, taking place next year from March 24th–27th. The honorarium will include an official award from the global music community, as well as an official proclamation from the Mayor and council members of the city of Burbank, CA – the media capital of the world. A special tribute publication, including an exclusive in–depth interview with Steal, will also be created as part of the award honor. For more information regarding MUSEXPO Creative Summit 2019 and to register to attend the event, including the special awards luncheon for Jimmy Steal, visit www.musexpo.net. 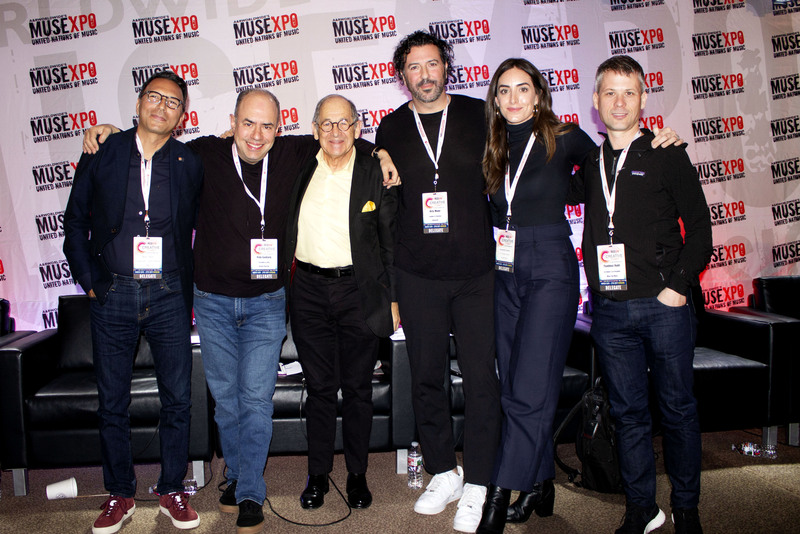 MUSEXPO Creative Summit 2019 continues to add key influencers to its re–imagined adaptation and evolution to its annual global music and media conference, as part of the inaugural California Entertainment Week 2019. Following on the recent reveal of an exclusive interactive synch presence from one of the world’s leading film/TV networks and studios, NBCUniversal, featuring many of the company’s key creative team members, MUSEXPO Creative Summit has revealed another round of the industry’s most innovative and inspiring executives to join its programming next March. Among the new group of leading music, media, digital and entertainment industry minds confirmed to join the MUSEXPO Creative Summit 2019 are: Ben Cooper – Controller, BBC Radio 1, 1Xtra & BBC Asian Network; Bob Lefsetz – Author, “The Lefsetz Letter;” Gao Xiaosong – Global Chairman, Alibaba Entertainment Strategic Committee; Kaylin Frank – VP, Creative Music and Soundtracks, Walt Disney Pictures; and Mike Daly – Executive Director of A&R/Music Publishing, Disney Music Group (Hollywood Records, Buena Vista Records and Disney Music Publishing); as well as Nick Raphael – President, Capitol Records U.K. and Jo Charrington – Co–President, Capitol Records U.K., who will participate as part of a special keynote interview delving into their A&R expertise and successes, most recently with global acts Sam Smith, 5 Seconds Of Summer and Liam Payne. To register to attend the event, or for organization and group discounts contact Tyler Polzin at tyler@anrworldwide.com. For more information on sponsorship opportunities and event partnerships contact Sat Bisla at sat@anrworldwide.com. Following up on its highly–successful 20th global edition earlier this year, MUSEXPO’s re–imagined adaptation and evolution to its annual global music and media conference, billed as Creative Summit 2019, is set to take place as part of a week–long series of events, including the 9th annual Worldwide Radio Summit, that will coincide as part of the brand–new California Entertainment Week, taking place March 24th – 29th. Both events will also make their way to the north side of the Hollywood Hills for their 2019 debut in Burbank, CA, the "Media Capital of the World," at the newly–remodeled and inspiring Castaway venue for an ultimate networking, creative and business experience. Burbank, CA is home to some of the world's most recognized music and media companies including film/TV studios, record labels, publishing companies, radio stations, music supervisors, synch companies and more including The Walt Disney Company, Disney Music Group, Freemantle Media, ABC, Hollywood Records, ESPN, Marvel Comics Studios, Lucasfilm, Warner Bros. Studios, DC Comics, Freeform TV, Warner Bros. Records, Atlantic Records, Elektra Records, peermusic, Rhino Records, iHeartRadio, Nickelodeon Animation Studios, The Burbank Studios, Blizzard Entertainment, Cartoon Network, Insomniac Games, The CW Television Network, NBC Universal, Universal Pictures, Universal Studios, KPWR “Power 106” Los Angeles and A&R Worldwide’s Headquarters to name just a few. MUSEXPO’s Creative Summit will seek to maintain the unparalleled networking experience that its flagship event has become globally–recognized for, while looking to delve more deeply into the most important aspect of our global music business – the songs and the artists. With more opportunities than ever for delegates to interact and connect with the local Los Angeles music community, as well as their global counterparts, MUSEXPO’s Creative Summit will feature a number of unique and innovative opportunities and platforms to foster creative opportunities and commercial realizations. Additionally, California Entertainment Week will include the presentation of the coveted "MUSEXPO International Music Person of the Year" award during a special VIP Awards Gala Luncheon on Tuesday, March 26th. 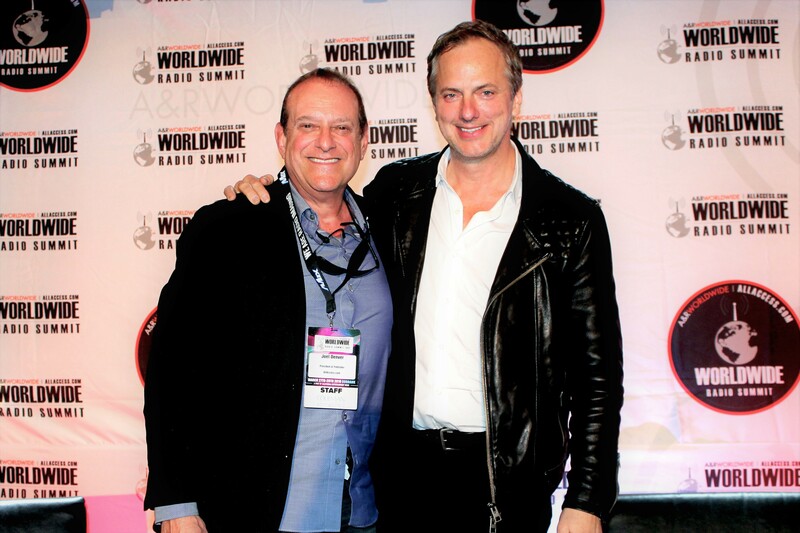 In following up on an inspiring at–capacity 2018 event this year, the ninth annual Worldwide Radio Summit (WWRS), presented by A&R Worldwide and AllAccess.com, will see its 2019 edition taking place March 27th – 29th. WWRS is the "United Nations of Radio," attended by hundreds of U.S. and international radio and record executives over the past eight years. The event will continue to highlight some of the most important issues and opportunities impacting radio today and tomorrow, as well as focus on the future of this crucial broadcast medium that is the world's largest communicator and platform for music discovery. In addition, WWRS 2019 will also include broader topics on music, content, digital, mobile, tech, monetization and much more. WWRS 2019 will also kick–off a new tradition as the event will also host its first–ever music and radio industry golf tournament at DeBell Golf Course. The best–ball tournament will see part of the net proceeds benefiting numerous charities with further details regarding the tournament and this great networking experience forthcoming. For more information on both MUSEXPO Creative Summit and Worldwide Radio Summit, including registration, sponsorship opportunities, showcase submissions, discount hotel bookings and more, visit www.musexpo.net. MONDAY, JULY 23rd 2018: Following up on its highly-successful 20th global edition earlier this year, MUSEXPO (www.musexpo.net) has revealed a re-imagined adaptation and evolution to its annual global music and media conference as it gears up to present its Creative Summit for 2019. 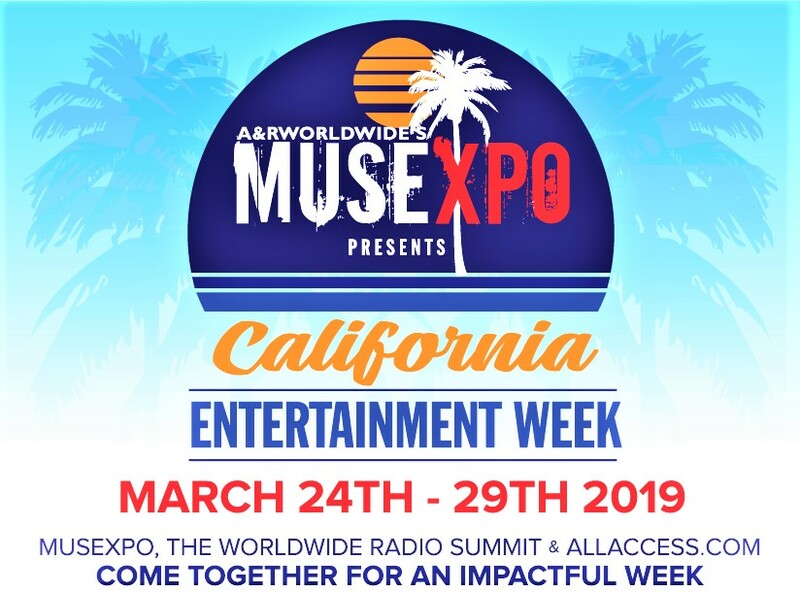 MUSEXPO Creative Summit will be a part of a week-long series of events including the Worldwide Radio Summit that will coincide as part of the brand-new California Entertainment Week, which will place March 24th – 29th. 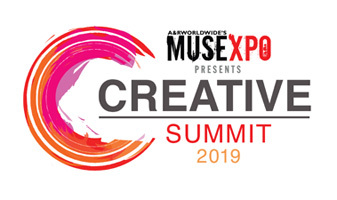 MUSEXPO’s Creative Summit, taking place March 24th – 27th 2019, will head to the north side of the Hollywood Hills for its 2019 debut in Burbank, CA, the "Media Capital of the World," at the newly-remodeled and decadent Castaway venue for an ultimate networking, creative and business experience. In "Beautiful Downtown Burbank" as heard on The Tonight Show Starring Johnny Carson and Jay Leno, high in a picturesque setting in hills overlooking the city and Downtown LA, the new Castaway is set to become SoCal's most provocative and exciting special events property and upscale restaurant featuring breathtaking views and a renewed energy and vibe, ready to deliver a world-class experience to 2019’s attendees. Burbank, CA is home to some of the world's most recognized music and media companies including film/TV studios, record labels, publishing companies, radio stations, music supervisors, synch companies and more including The Walt Disney Company, Disney Music Group, Freemantle Media, ABC, Hollywood Records, ESPN, Marvel Comics, Lucasfilm, Warner Bros. Studios, DC Comics, Freeform, Warner Bros. Records, Atlantic Records, Elektra Records, peermusic, Rhino Records, iHeartRadio, Nickelodeon Animation Studios, The Burbank Studios, Blizzard Entertainment, Cartoon Network Studios, Insomniac Games, The CW Television Network, NBC Universal, Universal Pictures, Universal Studios, KPWR “Power 106” Los Angeles and A&R Worldwide’s Headquarters to name a few, the city of Burbank is set to welcome 2019 delegates to this long-time epicenter of music creativity and innovation. MUSEXPO’s Creative Summit will seek to maintain the unparalleled networking experience that its flagship event has become globally-recognized for, while looking to delve more deeply into the most important aspect of our global music business - the songs and the artists. 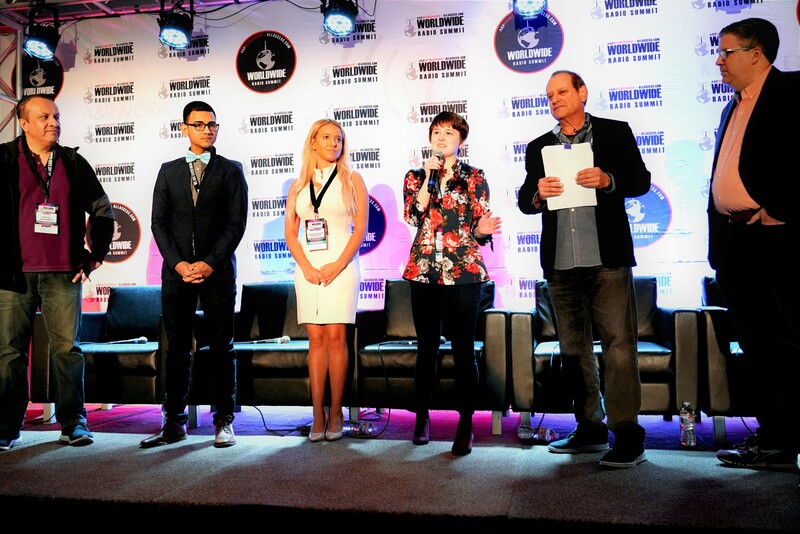 With more opportunities than ever for delegates to interact and connect with the local Los Angeles music community, as well as their global counterparts, MUSEXPO’s Creative Summit will feature a number of unique and innovative opportunities and platforms to foster creative opportunities and commercial realizations. The event will also once again welcome the crème de la crème of global showcasing talent to its stage that has previously welcomed artists such as Katy Perry, LMFAO, Jessie J, Teddybears, Frank Turner, Robyn, The Chevin, The Temper Trap, Forest Blakk, Sheppard, Audur, Jack Savoretti, Thomas Azier, Missy Higgins, Laleh, Gavin James, Birds of Tokyo, Avalanche City, Gin Wigmore, Ida Maria and many others prior to their global success. 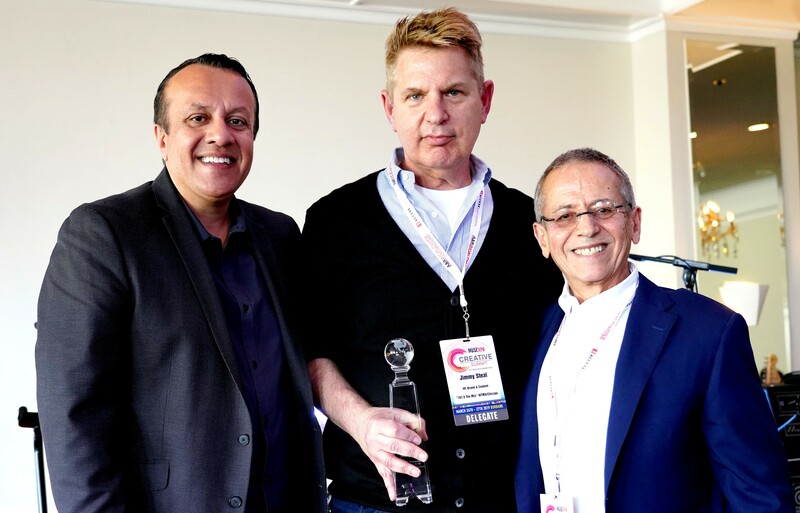 Additionally, the Creative Summit will include the presentation of the coveted "MUSEXPO International Music Person of the Year" award during a special VIP Awards Gala Luncheon on Tuesday, March 26th. 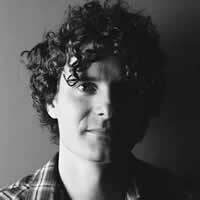 Over the past 14 years and multi-continental events, some of the world's most influential music, media and technology executives have participated at MUSEXPO, including: Alex da Kid – Grammy-winning Producer & Founder, KIDinaKORNER; Alex Luke - Global Head of Programming & Content Strategy, Amazon Music; Alex Patsavas - Founder, Chop Shop Music Supervision (Grey's Anatomy, Twilight, New Moon, Eclipse); Andrew Kronfeld – Executive Vice President, Marketing, Universal Music Group; Avery Lipman – Co-Founder & Chief Executive, Republic Records; Ben Cooper – Controller, BBC Radio 1, 1Xtra & BBC Asian Network; Bob Shennan - Director, BBC Radio; Chad Hurley - Co-Founder, YouTube; Chris Barton - Co-Founder, Shazam; Christian Tattersfield - Founder & President, Good Soldier Songs; Craig Kallman - Chairman & CEO, Atlantic Records Group; Daniel Glass – Founder & Chairman – Glassnote Entertainment; Dave Holmes – worldwide manager of Coldplay; David Massey – President & CEO, Arista Records; Diane Warren - Grammy, Emmy & Golden Globe Award-Winning Songwriter; George Ergatoudis - Head of Apple Music U.K.; Harvey Goldsmith - Founder, Harvey Goldsmith Presents; Jake Wisely - Chief Publishing Executive, Concord Music; Jason Flom – CEO, Lava Records & Lava Music Publishing; Jeff Smith - Head of Music, BBC Radio 2 & 6 Music (UK); Jimmy Kimmel (Jimmy Kimmel Live! ); Kevin Weatherly - Sr. VP/Programming, CBS Radio & Program Director, KROQ/JACK-FM/AMP RADIO (Los Angeles); Korda Marshall - EVP, New Recordings, BMG & Founder, Infectious Records; Larry King - Legendary Radio and Television Broadcaster/Interviewer; Martin Bandier - Chairman & CEO, Sony/ATV (Worldwide); Marty Diamond - Head Talent Booker, Paradigm Agency (Coldplay, Eminem, The Black Eyed Peas); Maureen Kenny – Sr. VP of A&R, Atlantic Records; Michael Chugg - President & Founder, Chugg Entertainment (Australasia); Michael Rapino - Chairman & CEO, Live Nation Entertainment; Mike Knobloch - President, Film Music & Publishing, Universal Pictures; Monte Lipman – Co-Founder & Chief Executive, Republic Records; Neil Warnock – Head Of Music Worldwide, United Talent Agency; Nick Raphael - President, Capitol Records U.K.; Nigel Lythgoe - Executive Producer, American Idol and So You Think You Can Dance; Pete Ganbarg - President of A&R, Atlantic Records; Peter Edge - Chairman & CEO, RCA Records Group; Richard Russell - Founder, XL Recordings (UK); Sarah Stennett - CEO, First Access Entertainment; Savan Kotecha - Songwriter/Producer (The Weeknd, One Direction, Justin Bieber, Katy Perry); Scooter Braun - Founder, SB Projects (Justin Bieber, Ariana Grande, Usher); Seymour Stein - Co-Founder, Sire Records; Sir Lucian Grainge – Chairman & CEO, Universal Music Group; Steve Schnur - Worldwide Executive & President, EA Music Group; Steve Strange - Partner, X-Ray Touring; Tom Anderson - Co-Founder, MySpace; Troy Carter - Global Head of Creator Services, Spotify & Founder, Atom Factory Inc.; will.i.am (The Black Eyed Peas); and Zane Lowe - Beats Music; amongst thousands of others. Early Bird Registration is now open for MUSEXPO’s Creative Summit at www.musexpo.net. Information on showcase artist submissions, event partnership and sponsorship opportunities, direct flights to Burbank Airport, conference discount hotel room bookings within the Burbank, CA area is available at www.musexpo.net.